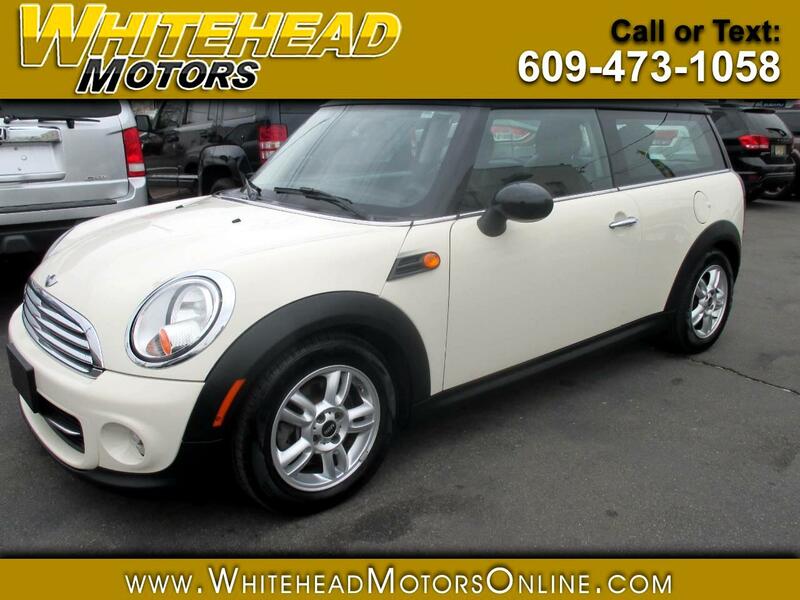 Enjoy being care-free and happy as can be when you take to the road in our desirable 2013 Mini Cooper Clubman on display in ravishing Pepper White. Powered by a 1.6 Liter 4 Cylinder that generates 121hp on demand while tethered to a 6 Speed Automatic with Manual shift control. This efficient team allows our Cooper Clubman to score near 35mpg on the open road while offering entertaining driving dynamics and quick handling thanks in part to Sport mode and exceptionally precise steering. As you can see from our photos, the retro design of our Clubman is enhanced by a reverse-opening rear club door on the passenger side and attractive 15 inch alloy wheels. Inside our Clubman, you'll appreciate such conveniences as keyless entry, full power accessories, a trip computer, cruise control, and rear seats that flip down to expand cargo space. Settle in to comfortable seats with leatherette seating and enjoy the multi-color ambient lighting, ample legroom, and a tilt-and-telescoping leather-wrapped multi-function steering wheel as you crank up a 6 speaker stereo or stay connected thanks to Bluetooth. Anti-lock disc brakes, front-seat side airbags, full-length side curtain airbags and stability control are all on board to keep you out of harm''s way as you travel in this fantastic Cooper Clubman. Loads of fun and eager-to-please, this spirited traveling partner awaits you! Print this page and call us Now... We Know You Will Enjoy Your Test Drive Towards Ownership! Get Approved In Minutes at Whitehead Motors. We Make Car Buying Easy.